I cannot recall reading a work of historical scholarship clearly written out of sheer irritation until I read The Myth of the Andalusian Paradise: Muslims, Christians, and Jews under Islamic Rule in Medieval Spain by Spanish-American historian Dario Fernandez-Morera. Fernandez-Morera is clearly irritated and annoyed by recurring failures of Anglophone scholars to acquaint themselves with Spanish and French language scholarship on medieval Spain when writing about medieval Spain. He is clearly irritated by the failure of many such scholars to use the available Muslim and Christian sources; by their preciousness about using the word Spain (which, as he points out, many Muslim writers happily used); by their presenting medieval (particularly Muslim-ruled) Spain as some sort of golden age of multicultural co-existence; he is irritated by the notion that the invasion by Arab-led mainly Berber armies somehow raised the cultural level of Visigothic Spain; he is irritated by the dismissive treatment of Christian resistance to Muslim rule; he is irritated by the positive, even glowing, treatment of Muslim conquest and rule. One way to tell he is so irritated--apart from simply reading the text--is his habit of starting chapters with quotes from noted scholars which the chapter then presents evidence clearly contradicting. There is no doubt about who his scholarly jeremiad is aimed at: he tells you in general in his Introduction and then by quoting from specific scholars at the start of chapters. No strawpersons allowed; they are hardly necessary, when so many large targets present themselves so clearly. The irritation clearly helped motivate writing the book, and it does add a certain spice or zest to the reading, but it in no way detracts from the scholarly value of the book, which is very extensively footnoted--reading the footnotes is an education in itself--and filled with quotes from Christian, Muslim and Jewish sources. (The book is a particularly informative entree into the Jewish communities of medieval Spain.) He may push some arguments a bit far, as this sympathetic reviewer suggests, but effective rebuttals would have to be at least as well supported in the evidence. Fernandez-Morera is also quite cutting about some obvious, and persistent hypocrisies--such as turning the Christian calendar into "Common Era" but being very respectful of the (equally religious) Muslim calendar. Or being dismissive of wider Christian connections but respectful of Islamic ones. The same rhetoric can be heard in our times from Hamas, from Osama bin Laden, from the Fort Hood killer, from jihadis in the US, in France, in the UK. All ultimately derived from the Quran, Sura 62:6. 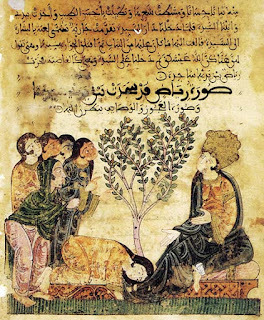 Fernandez-Morera cites or quotes a series of Maliki and other medieval Islamic sources emphasising jihad as fighting the infidel who do not convert or submit, citing Medinan suras, noting that Bukhari's collection of hadith elevated such jihad to a key obligation on free Muslim males after believing in Allah and His Prophet. Fernandez-Morera also notes some controversy about how late in Islam the notion of inner struggle jihad and defensive jihad may have arisen. In Destiny Disrupted, Tamin Ansary dates the promotion of "inner jihad" as the "greater jihad" to Sufis during the Abbasid period, (p.107) though, as he also points out, some Sufi orders effectively became warrior orders (p.167). (Moreover, the original connection to Muhammad is via a statement of one of his companions of doubtful authenticity and apparently fails to appear in any of the six authoritative collections of hadith.) Fernandez-Morera is quite right to insist that the notion of Crusade (a late, and terminating, development in Christianity which required Papal authorisation) is quite different from jihad (a universal obligation on free Muslim males operating from the origins of Islam). Coins minted in North Africa shortly before the invasion of Spain call upon the protection of Allah for jihad. (Chapter 1). The notion of separate political and religious motives does not really apply, and the Islamic histories themselves are clear on the religious motives for conquest. Muslim chronicles mention the destruction of churches--usually in triumphal terms and often to celebrate their being turned into mosques (Chapter 1). 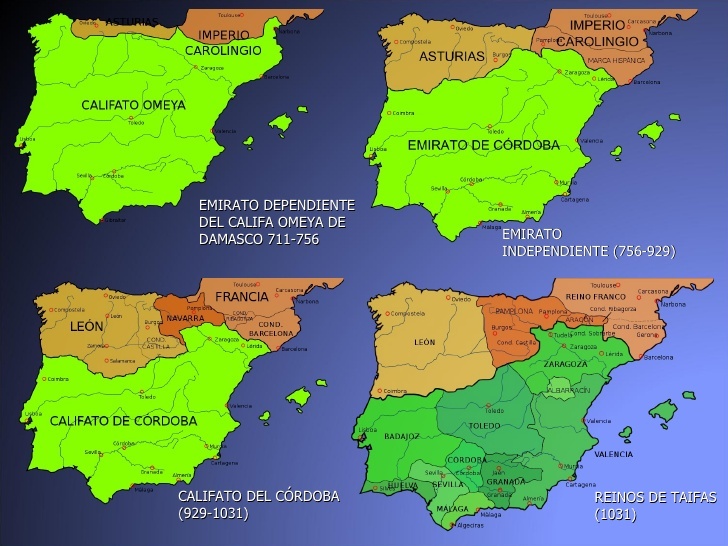 Southern Spain has no churches built prior to the Catholic reconquest (Chapter 2). Spain was under Roman control and influence longer than any Western land outside of Italy and produced more Latin writers and emperors than any other Roman province. ... the Visigoths were the most Romanized of all the peoples took over the Latin Roman Empire ... (Chapter 2). 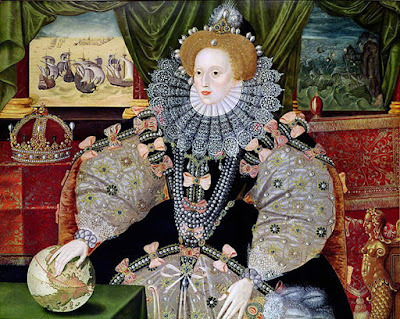 A civilisation that was legally innovative, included ruling queens and the establishment of which was much less disruptive than the subsequent Muslim conquest. Muslim sources refer to the wealth and splendour of the society they conquered (even if the major measure of the wealth was the acquired loot). Fernandez-Morera points out how deeply implausible the notion is that an Arab-led army mainly of Berber nomads somehow raised the cultural level of a urban civilisation drawing on Roman and Classical heritage. Especially given that much of the cultural sophistication the Arab elite had acquired had come from their Iranian and Christian-Greek subjects. 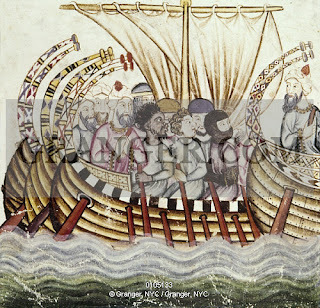 He is somewhat caustic on the notion that the Islamic world "preserved" the heritage of Greek thought, given that the Greek-Roman Empire never lost it and it was Islamic conquests and piracy that profoundly disrupted the previous connections across the Mediterranean (Chapter 2). Eighteenth century Enlightenment scholars such as Montesquieu, who despised Orthodox Christianity perhaps even more than Roman Catholicism, adopted the term, thereby emphasizing that these presumably retrograde Christian Greeks had nothing in common with those pagan Greeks admired by the Enlightenment. (Chapter 2). One of Fernandez-Morera's continuing themes is how the juxtaposition of Muslims with Christians and Jews led to great concern (particularly among religious scholars, clerics, priests and rabbis) with not having defections among the faithful to the blandishments of other faiths. One of the strongest responses to living with other religious communities was to more strongly define what differentiated them. In the case of the Jewish communities, that led to strong efforts against the non-rabbinical Karaites, who were pushed into marginal status. The rabbis clearly had an interest in encouraging hostility to those who denied their authority, but it is also clear that their success was partly based on their success in portraying the Karaites as being a path to defection from the Jewish community (Chapter 6). ... the practice of Islam in Spain was much more rigorous than in the East. If anything, the presence of large Catholic populations to the north and in their midst, along with the conversion to Islam of many of their earlier inhabitants, seems to have exacerbated the Andalusian clerics' zeal in adhering to Maliki teachings. In other words, far from being conducive to tolerance, living close to Christians exacerbated Islamism in al-Andalus. (Chapter 3). These and other food purity rules meant that "breaking bread together" was not a practical option between a devout Muslim and a Christian. As I have noted before, it is not morality that buttresses the role of clerics as gatekeepers of righteousness, but moral taboos. In contrast, the relatively more ethnically and religiously unified Catholic kingdoms did not present the same problems for their rulers and therefore did not encourage the same drastic solutions. (Chapter 4). And (to continue the story beyond where Fernandez-Morera takes it), having completed the Reconquista, the eventual response of the Catholic kingdoms of Spain and Portugal was to use forced conversions and expulsions to re-create such unity. It is no surprise that concern for clear differentiation between the faithful and other faiths fell particularly strongly on women. Indeed, the higher the status of the Muslim woman (status which derived from the key man in her life), the more strict the requirements of separating differentiation. The cultural and other activities of Andalusian women cited by those keen on pushing the convivencia narrative were either slave girls (or, in the case of celebrated love poetry, largely about slave girls) or otherwise restricted to the private sphere. While, as one would expect in a polygynous society where stealing infidel women was sanctified, sexual slavery was rife. So rife, that (along with the aforementioned expulsions) there is very little Arab or Berber genetic imprint in the present-day Spanish population. 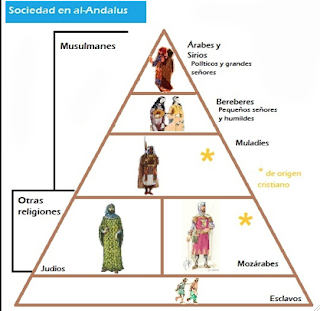 Conversely, the situation of Catholic women in Catholic Spain was markedly better than that of even high status Muslim women in al-Andalus (Chapter 5). The system of "protection" then, was in reality, a system of exploitation and subjugation. (Chapter 7). 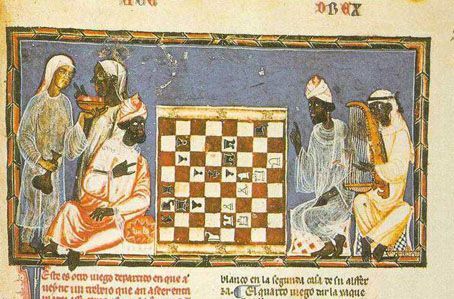 There was no more a culture of tolerance in what remained of the Christian community in Islamic Spain than there was in the Muslim or Jewish communities (Chapter 7). An issue which preceded the Muslim conquest. Upon the conversion of King Recared (r.588-601) to Catholicism (589), Visigothic law persecuted Arianism and Judaism, aiming for the extinction of both. In this it did not succeed, but it did alienate the Jewish community enough that the invading Muslims successfully used them as allies against the Christians. Fernandez-Morera notes various parallels in the exclusionary laws and rules of Christians, Muslims and Jews (Chapter 7). With the muladis being a recurring source of unrest and revolt. The implication is clear: these people should be grateful to the tolerant Muslim authorities for so graciously allowing them to practice their religion. Never mind the lowly status Christian dhimmis and even muladis occupied in Muslim society; the harsh restrictions they lived under; the extortion and humiliation they suffered through their special "taxes" (the jizya); the destruction of their ancient churches ... or even harsher punishments Christians faced for violating Islamic laws. Those punishments included drastic measures such as ethnic cleansing ... The punishments also included, as we have seen repeatedly, executions of the most painful and public forms. Few periods in history have been more misrepresented than that of Islamic Spain. A misrepresentation that wildly over-praised Islamic tolerance and treats the achievements of Visigothic Spain, and subjugation of Christians and Jews, remarkably dismissively. The Myth of the Andalusian Paradise is at once an informative corrective to much historical misrepresentation and a worrying documentation of scholarship going systematically wrong. The farce over the Yale University Press published work on the Mohammad cartoons sans cartoons provides him with an excellent illustrative example. It is not surprising that the Introduction also includes a strong plea to focus on where the evidence leads us, while being aware of the context of what we use as evidence. And even more so in other humanities and social sciences. 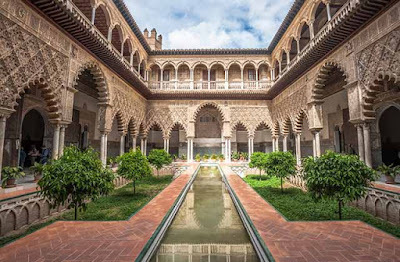 Or perhaps since the eighteenth-century Enlightenment the critical construction of a diverse, tolerant and happy Islamic Spain has been part of an effort to sell a particular cultural agenda (Introduction). Something that the decreasing ideological diversity of the academy (particularly in the humanities) tends to aggravate. Still, while scholars such as Fernandez-Morera are willing to take a well-wielded scholarly axe to pretentious pieties, there is hope. 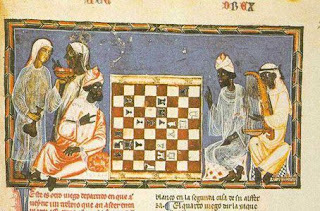 There is one thing that has to be said in this debate: historians know very little about Muslim Spain. Here and there some sources shed light on a peculiar aspect of the life in a given place at a given time, but there is a lot of unknown. The lack of certainty invites interpretation. One thing can be argued just as well as the complete contrary. For instance, the Umayyads can be regarded as relatively leniant with other religions when compared with the mass deportation of Christians that took place under the following dynasties or the massacres of Jews occured after them or elsewhere in the medieval Muslim world. In the same way, it is important to separate the law and its application. The dhimmia for instance appears as a tough situation, but, when needed, the state was happy to throw away any pretence submission of the other faith. Muslim sovereign used regularly Christian or Jewish ministers (thus giving authority over Muslims to unbelievers) or recruiting Christian mercenaries (thus allowing unbelievers to bear arms in the dar al-islam, which is legally a huge no-no). On fiscal matter the state was also prompt to break the rules and precept such as "prices are in the hands of god" were massaged into incoherence by the scholars to please whomever had his bottom on the throne. Regarding the matter of Jihad, it should be noted that its use varied greatly. The main Umayyad rulers were often happy to do pretty much without it, insisting on internal issues rather than war. On the other hand, some one like Almanzor really heavily used the concept to back his system of constant razzia. But there the fiscal issue seem to have been at least as important as anything else, the spoils collected in the North being essential to pay his Berber regiments which in turn were essential to keep the Arab army in line. The failure of the raids launched by his sons led to the immediate uprising that made the united Andalus collapse. So Fernandez-Morera may be right to complain about the constant one-sided bias of the current academia, but it is just that a bias, caused by a terrible paucity of sources. Periods and places that are better know (such as the Mamluks in Egypt) are a lot less liable to this sort of vast interpretation. On the use of Jewish and Christian ministers, my understanding is that was largely limited to the Taifa period, which were often criticised by Muslim writers as being particularly religiously lax. Of course, more states mean more diversity in practice while smaller states may also mean a need to broaden support. 786 Fernandez-Morera is, first of all, not a scholar of mediaeval history, and certainly not mediaeval Spanish history. He's writing from outside the discipline. His CV, the first thing you should have checked, is non-existent. There is a reason it was published by ICI, a conservative think-tank, instead of an actual academic publisher; and it's not because there is a giant Muslim conspiracy in academia. Furthermore, a straw man is exactly what his argument uses, which you would know if you were remotely familiar with actual scholarship done in the actual field instead of trusting a book-length screed written by an interloper. None of the sources he cites are new, nor are Andalsui Studies scholars ignorant of them; they have used those same sources for decades. Furthermore, no-one in the field believes the things he claims they do; he is a master at taking statements out of context, which he uses as a substitute for the superior knowledge to which he lays claim. As an academic work the book fails miserably. I should have known better than to endure the slog through your sycophantic "review" when I noticed that you cannot even get your basic facts about the author straight: he is not Spanish-American, nor does he claim to be Spanish-American, nor at any time in the past has he claimed to be Spanish-American. A choice illustration of writers getting the fans they deserve. Fernandez-Morera is an expert in medival Iberian literature. From there, it is a short step into the historical disciplines, especially when you can read the languages of the sources. I commend scholars who seek to know more and more about more and more rather than more and more about less and less.